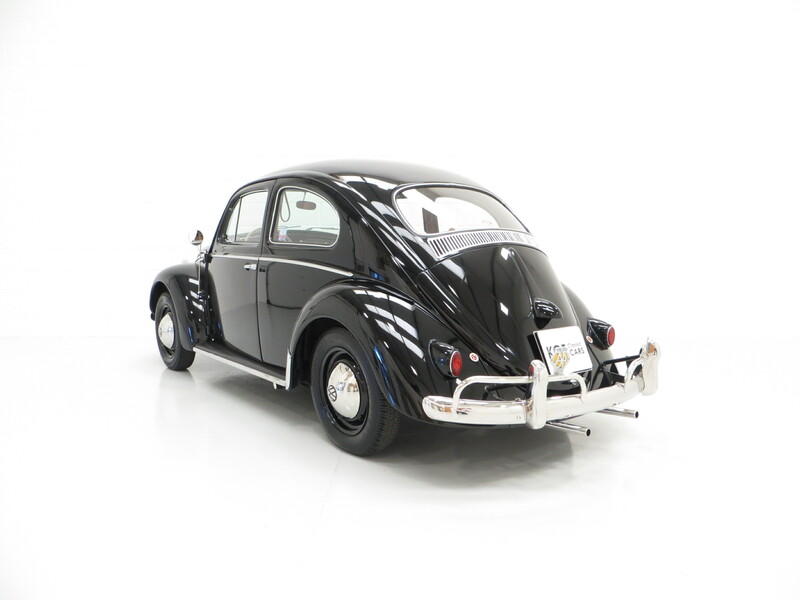 A beautiful matching numbers 1958 Volkswagen Beetle 1200 De Luxe Sedan. Chrome window trim, opening quarter lights, chrome bumpers, chrome driver’s wing mirror, chrome waist strip, chrome bonnet line, VW bonnet emblem, VW Wolfsburg crest, running boards, horn button with Wolfsburg crest, interior light, parcel shelf, assist straps, ashtray, headlight flasher, glove box, door pockets. Optional extras; Push button radio, outer wing mirror. 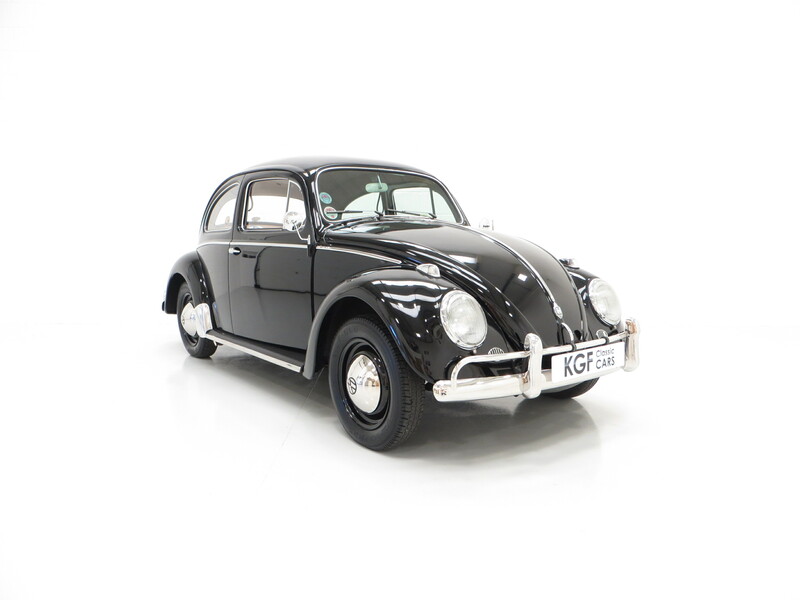 This wonderfully charming 1958 Beetle is finished in Volkswagen Black, (Code L41), and represents an outstanding example of the iconic People’s Car. The paintwork boasts a wonderful deep glossy shine and uniform finish. All panels are straight and undamaged and the extensive chrome, a feature of the De Luxe model, is in superb order with no tarnishing or pitting. 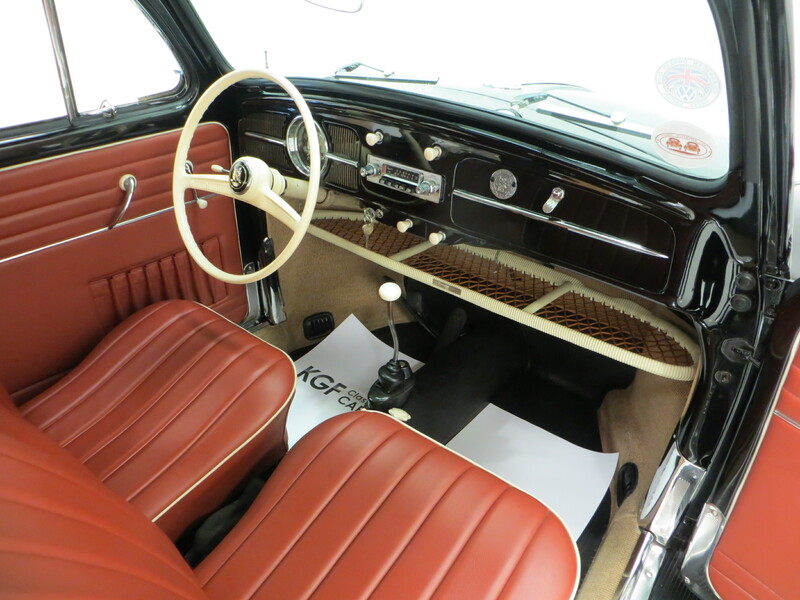 This example remains correct to the build year following changes made in 1957 to a larger rectangular rear window replacing the previous oval shape and a 17% wider windscreen, as well as the correct lever door handles fitted prior to the fixed handles and button arrangement introduced in 1959. 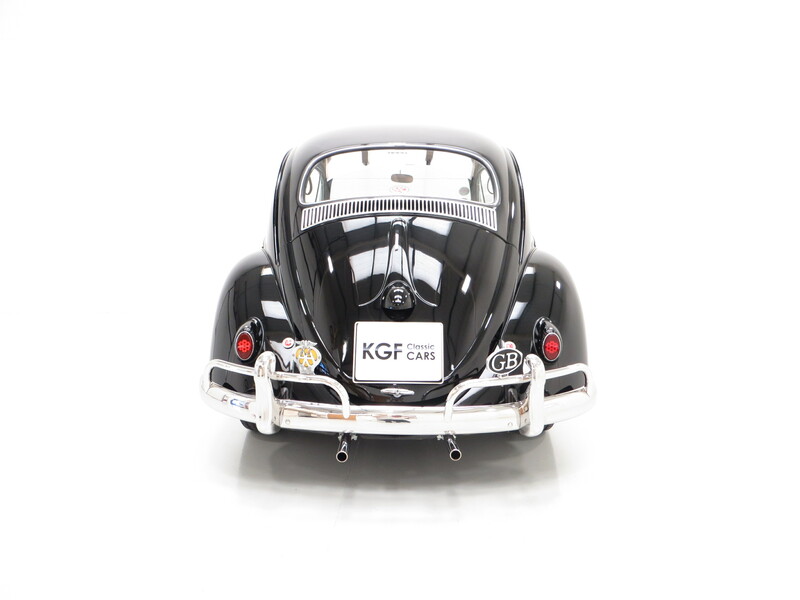 The VW and Wolfsburg Crest badges to the bonnet are proudly displayed at each end of the bonnet strap line and the rear bumper has removable vintage AA and GB badges. The fifty-slat intake above the engine hatch has a removable chrome cover and stainless EMPI door entry guards and rear stone protectors are fitted. Guaranteed to ignite retro nostalgia, this amazing example attracts much admiration. Pull the ornate lever handles and the wide opening doors reveal a truly outstanding and beautifully upholstered interior. An invoice in the history file from 2005 by Janel Brothers of Seattle reveals a full retrim of the interior including wool headlining and wool weave carpets, at a total cost of $3,873.28. 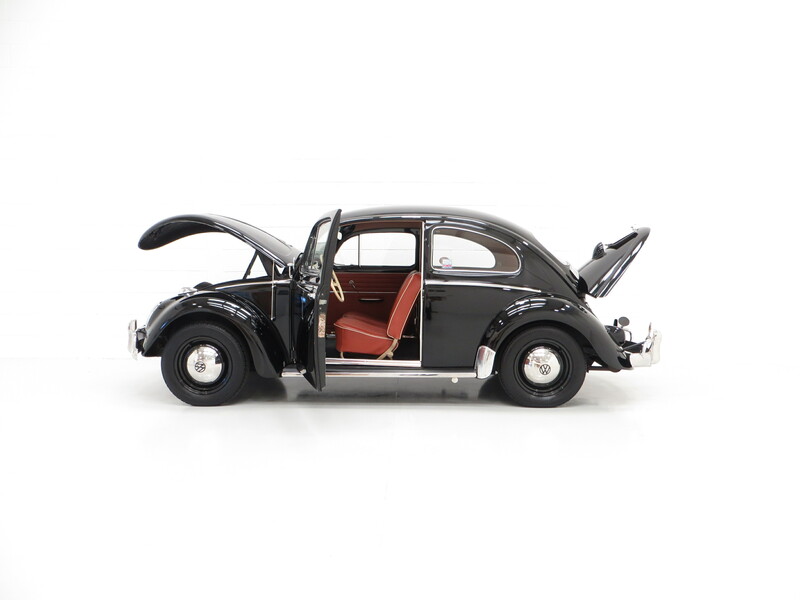 The resulting finish is perfection whilst not deviating far from the charming Beetle ethos. 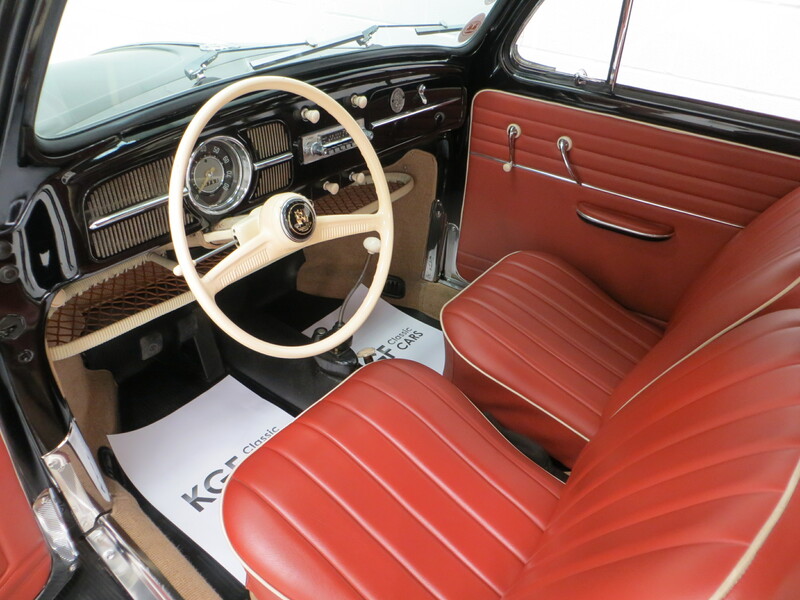 The original ivory knobs, handles and steering wheel are deliciously retro and remain in excellent order aside from a few small marks to the wheel rim. The expensive wool weave carpet extends throughout the car including the rear luggage space and quality fitted rubber mats protect the wool weave carpets. 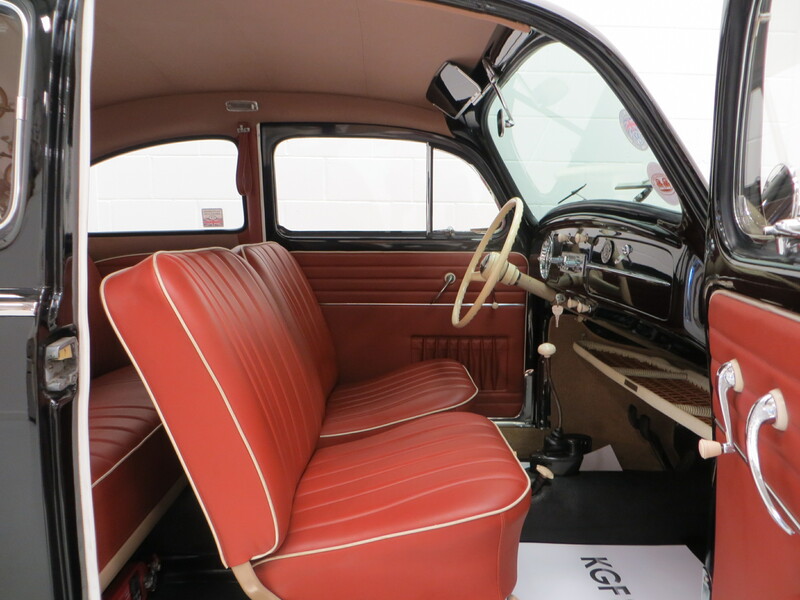 This is a very special classic Beetle interior and it is hard to see how it could be improved. 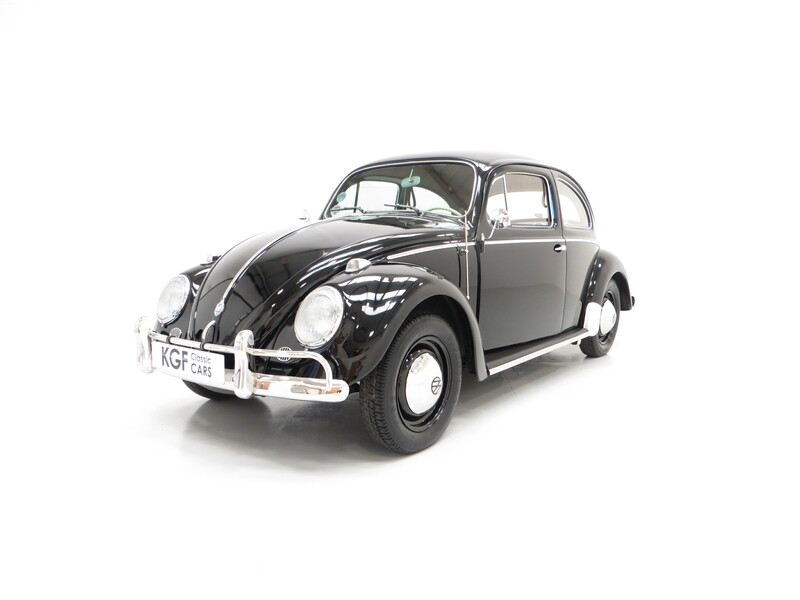 A very rare find indeed is the original matching numbers 1192cc four stroke air-cooled rear mounted engine with correct manual choke set up and six-volt electrical system. 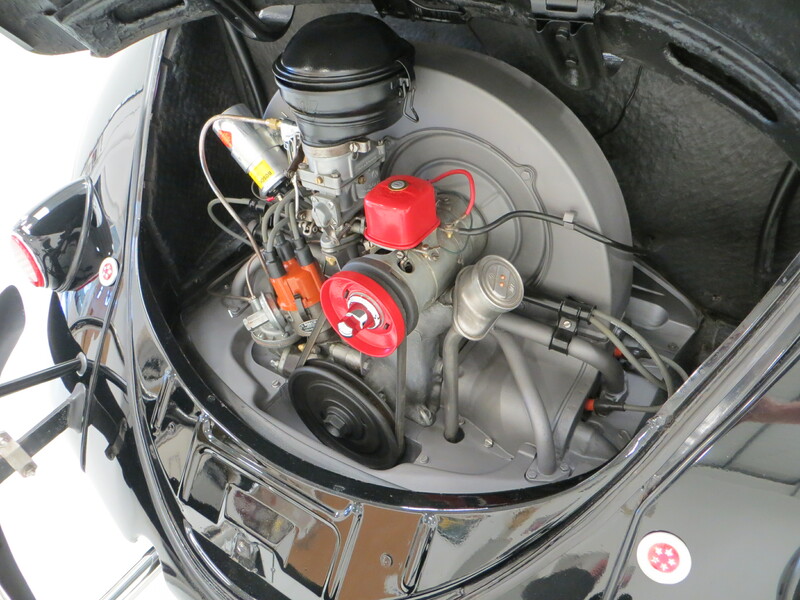 The engine compartment is immaculate and the engine number is verified to match paper documents as well as the original service book whereby both engine and chassis identification markers are displayed. Exhibitionists will enjoy the minor visual engine detailing just enough to create the Wow Factor while still maintaining design simplicity. Producing a sedate 36hp, progress is surprisingly willing and the all synchromesh on the four forward gears, a feature of the De Luxe model, changes are effortless and bereft of the dreaded crunch! 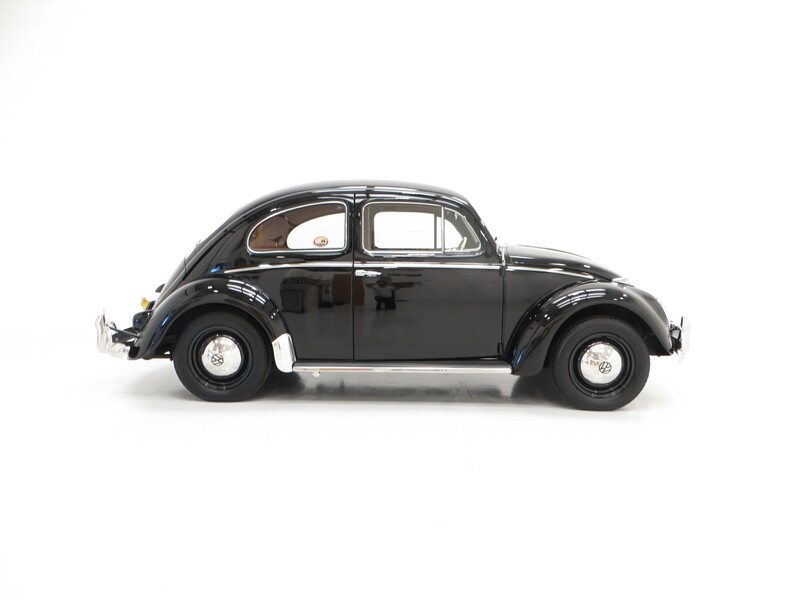 The original colour coded steel wheels are pristine and remain dressed with the VW chrome dome hubcaps which are mark free and have a mirror finish. Tubeless super-balloon tyres are matching Firestone F-560 which masses of tread remaining and the spare wheel is housed in the clean front luggage compartment alongside an original tool roll and jack, correctly positioned. The fuel tank is in excellent order and features an original VW steel cap. The hydraulic brake set up has been further upgraded with a disc conversion to the front to allow for improved braking in modern traffic conditions. Information drawn from factory records and chassis numbers confirm this example to have been built in September 1958 with correct engine number range to correspond with this month of build, source Thesamba.com. Vehicle delivery to the supplying dealer, G.P. Motors of Port Angeles, Washington, was on 5th December 1958 and first inspection by them was carried out on 12th December 1958 at 78 miles. This information is confirmed in the original service booklet which also notes vehicle type, colour, key number and both the engine and chassis numbers. 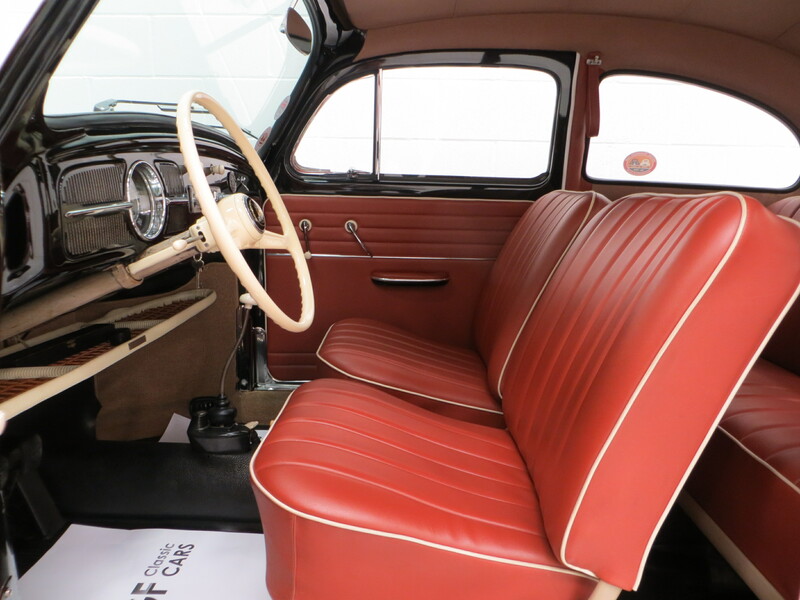 The huge history file also includes the instruction manual dated April 1958 as well as a wonderful huge collection of receipts and invoices dating back many years, including an engine rebuild in 1988, photos of the car in Seattle where it spent most of its life. 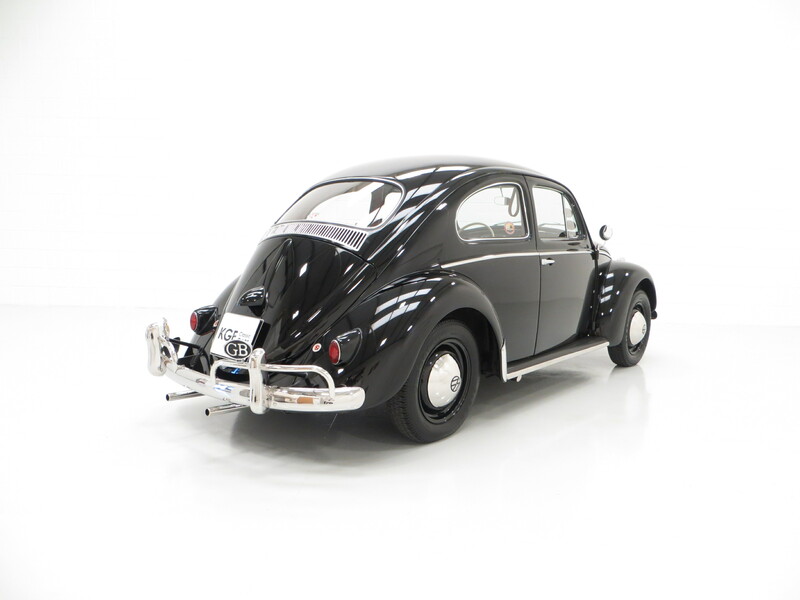 Owned by father and daughter from new until 1996, there is a for sale sign in the history file from the person who purchased the car from the original owner’s daughter with a fascinating insight into the car. The vehicle has been pampered since arriving in the UK in 2009. Further delights include two mileage logs complete with fuel receipts as well as period accessories including vintage maps of Seattle, New York, Wisconsin and Ripon! 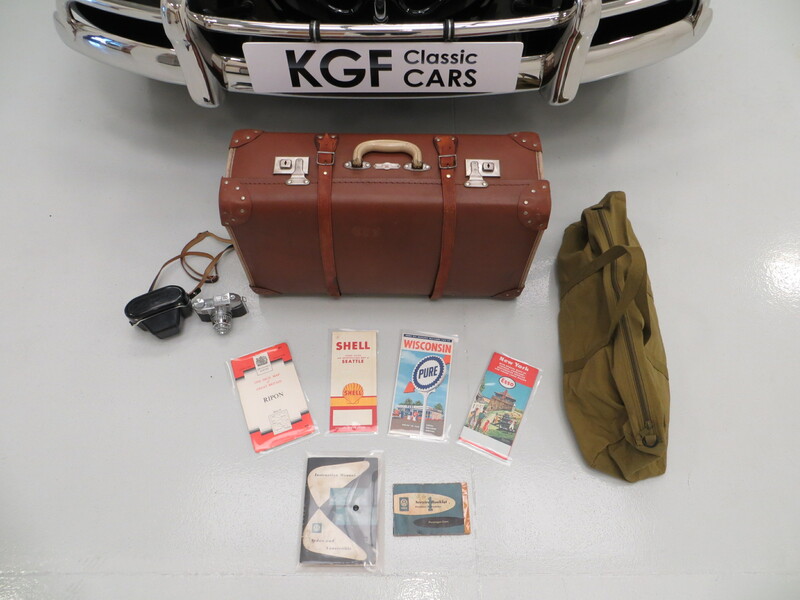 There is also a Phoenix Travel Goods suitcase, Beirette camera and a Schrader tyre gauge in a presentation case. 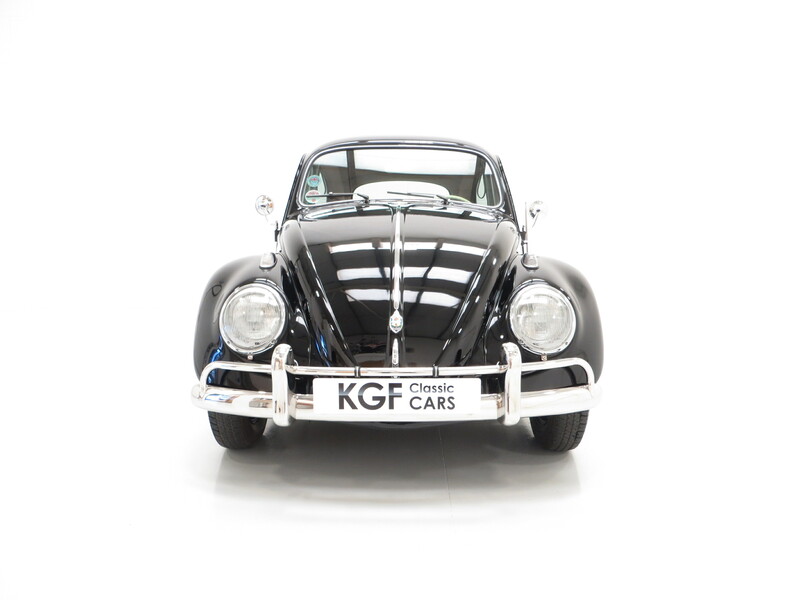 Altogether an amazing history file to compliment this stunning 1958 Beetle. MOT exempt, Tax exempt, HPI Clear.